You can now reserve a place in the queue for the first round of production. We aim to begin production in March after we move into our new space (more about that below). Reservations are $150 and will guarantee you a printer from our first production run. Reservations are limited, so make sure to purchase your spot before they run out! The reservation fee will be subtracted from the total cost of the printer, which is $2,500. If all goes according to plan we should begin shipping printers in April. You will not be asked for payment of the full price of the printer until we are sure production is on track. If we do not make it to production, your reservation fee will be refunded. 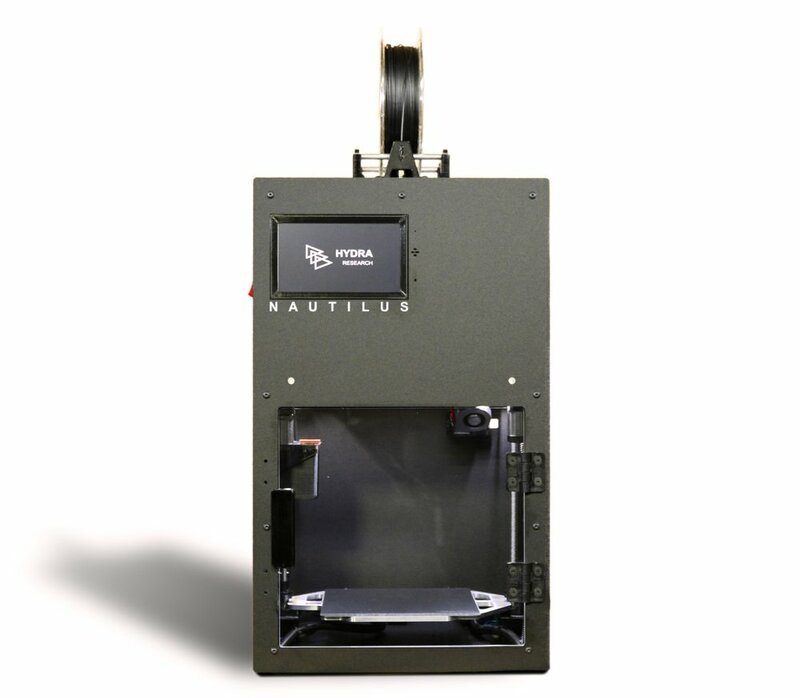 You can learn more about the Nautilus at the dedicated page we have created by clicking the button below. Midwest RepRap Festival, See You There! We are making the trip to Goshen, Indiana! If you are going to be there make sure to come by our booth for live demos of the Nautilus and free giveaways! We’d love to say hi. We’ll also be posting lots on social media, if you cannot make it keep an eye on our Facebook, Instagram, Twitter, etc. We have come to the conclusion that we do not have the resources to properly implement the multi-material system at this time. Additionally, we are not confident we can test it to the extent necessary to ensure high reliability right now. We absolutely do not want to launch something unless we are extremely confident in it. In addition, the 3 in 1 out multi-material system adds a lot of extra print time and waste due to the load/unload procedure and the large amount of purging required to clear out the previous material from the hotend. If you are interested in setting up a multi-material system on your own, the printable files can be found on Thingiverse. We have decided to put multi-material on the back burner for a little while and focus on really reliable printing of engineering grade materials like ABS, PCABS, PC, PP, Nylon, and carbon fiber fills. We will now be including a wear resistant nozzle by default, replacing the brass one we were previously using. This will allow printing of abrasive materials like carbon fiber fills right out of the box! We have definitely pushed our current office to the limit! There is hardly room for us in there with all the printers, Nautilus prototypes and betas, filament, components, and more.